What is a Deed of Variation? Who signs it? Can an executor change a will? If you’ve a question about Deeds of Variation for a Will – what is a deed of variation, how you use one, or what they cost – then hopefully you’ll find this article helpful. Here we answer the top 5 questions from the Internet on Deeds of Variation. 1. What is a Deed of Variation? A “Deed of Variation” usually means a deed varying the terms of a Will. There are other types of deeds of variation commonly used, such as one to vary the terms of an existing lease or to alter the terms of an existing partnership agreement. In essence, a deed of variation will either vary an existing contractual situation or entitlement. (b) then having made a gift of it during your lifetime (which might attract Inheritance Tax later on). So put another way, this also means that HM Revenue & Customs will accept that, for Inheritance Tax purposes, the legacy left to one beneficiary under the will was never received by them (so their estate is not potentially burdened with Inheritance Tax as if they had received the legacy) and instead was received directly by the person or body to whom it is diverted from the deceased person’s estate by the deed of variation. Basically, it is a tax break, so that you don’t end up with a double Inheritance Tax charge on the same assets in a potentially short period of time. Let’s illustrate what we mean here in a typical scenario. In this example we are assuming the estates in question are both liable to Inheritance Tax. Without the deed of variation, you could have a pretty unfair situation tax-wise. For example, say 2 elderly siblings both die within a couple of years of each other, where one left a legacy to the other on which Inheritance Tax is due, and then, on the death of the second one, Inheritance Tax is due on whatever they left. By the time of the second death, the tax would have eaten up 80% of the value of the original legacy, possibly within a short timescale. (c) the assets would only be liable to Inheritance Tax when he dies. (b) be many years from their own estates being liable to Inheritance Tax, being a generation or two younger. This is a common situation where a Deed of Variation for a Will is the solution. They can of course also be used where Inheritance Tax is not an issue, in order to divert a legacy to someone else. 2. Can an executor change a will? No. An executor cannot change a will on his own (unless he is also the beneficiary in question). A beneficiary who was due to receive a legacy under a will is the one who can change, or vary, the will, to divert his legacy to someone else, in whole or in part. They simply need to use a deed of variation for a will after the person whose will is was has died. They must do so within 2 years of the date of death. To do this, you need the beneficiary in question, or all the beneficiaries affected by the variation, to agree to it. You only need the executors to agree to it, in addition to the relevant beneficiaries, if the variation increases the Inheritance Tax to which the estate of the deceased is liable (which is not normally the case). 3. Who signs a Deed of Variation? (This is a similar answer to the one for the previous question.) Firstly, the beneficiary or beneficiaries affected by the variation need to sign the deed. This means those beneficiaries who are giving up their legacies, in whole or in part. Secondly, the proposed new recipient of the legacy also needs to sign, in order to agree to accept the legacy. Normally, these are the only parties who need to sign the deed. As noted above, the signatures of the executors are only needed if the variation increases the Inheritance Tax to which the deceased’s estate is liable. 4. How much does a Deed of Variation cost? If you instruct a typical high street firm of solicitors to draft a deed of variation for a will for you, the exact fees may vary a little. We would expect them to be in the region of £500 to £750 plus VAT normally. However, it is not essential to have a solicitor draft a deed of variation for you. Frankly, you don’t need a solicitor involved with it at all. Instead, with Legalo’s simple template for a deed of variation you can do the same job yourself, quickly and simply, for only £39.00. The beneficiaries of the estate can enjoy the cost savings made. Our template makes it easy for you to do yourself, and it comes with a guide to explain everything you need to do. All it takes is a few minutes of your time. To make it even easier for you, Legalo offer a free helpline by phone and email. We love to enable you to do more legal work by yourself. We help you to make significant cost savings by using one of our templates. This should give you the confidence to know you can do it yourself, without needing to pay an expensive lawyer. 5. Can a Will be changed? 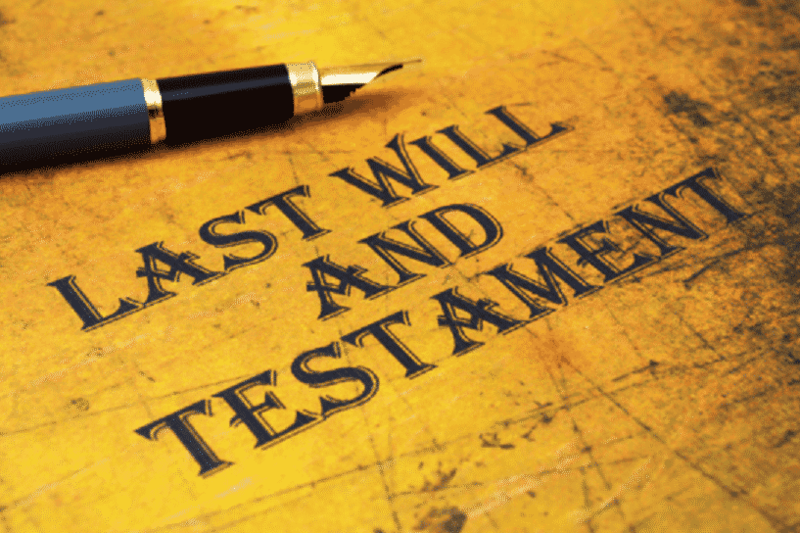 Can you change a Will after death? and Can a Will be changed after death? (c) but there are certain requirements and procedures to be followed carefully in order to do it validly. If you would like further information on how this is all done, and what you can and cannot do, then we have a more in-depth guide, which you can read here. So now we’ve explained the whys and wherefores of Deeds of Variation, what are you waiting for? 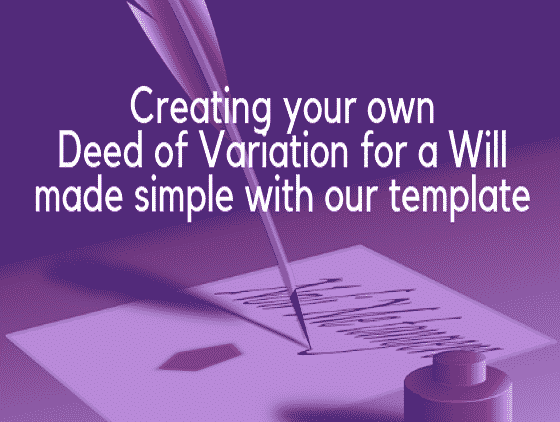 Take the next steps now, by downloading our template Deed of Variation for a Will. If you have other questions, we’re always here to help you – just contact us.